Updated Saturday April 13, 2019 by South Central Minor Baseball. 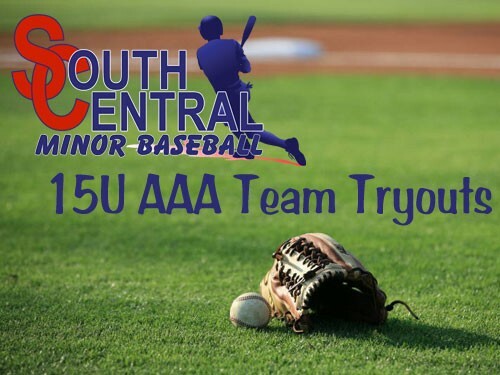 All 15U Bantam players in South Central are invited to try out for the South Central AAA team. This applies to all players born in 2004 and 2005. Open evaluations will be running throughout the month of May. There will be a semi-final selection after the evaluation camp on May 12, weather permitting. The final roster will then be selected after the St. James Tournament on June 9. Players are encouraged to attend as many of the open evaluation sessions as possible and be 15-30 minutes early for warm-up. If a player is interested in trying out but is unable to attend any of the scheduled dates they should contact Matt Giesbrecht as soon as possible. Players who wish to tryout should register at the Baseball MB registration website. Payment for the tryout registration can be made to Jake Peters at the first tryout you attend.